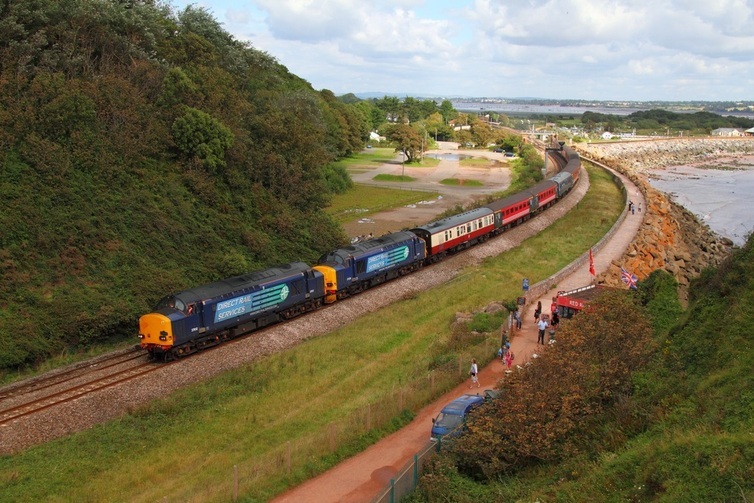 DRS 37612 leads 37259 on the 1Z37 Tame Bridge Parkway to Kingswear 'Dartmouth Flyer' Pathfinder Railtours at Langstone Rock on the 31st August 2012. 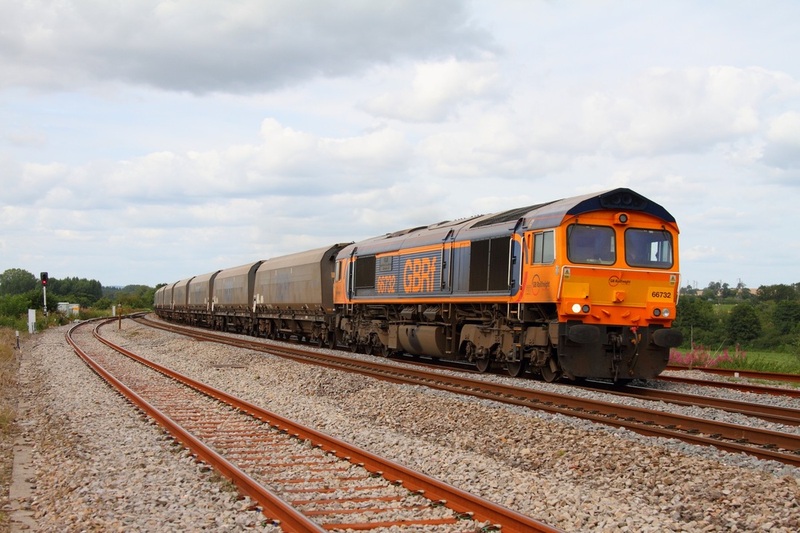 GBRf's 66732 leads the 4V94 Doncaster to Portbury biomass train at Charfield on the 31st August 2012. 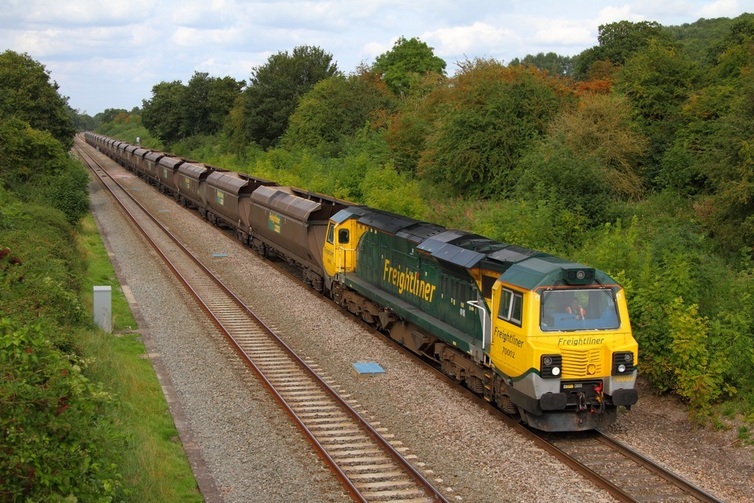 Freightliner's 70002 leads the 4Z47 Ratcliffe to Stoke Gifford empty coal at Haresfield on the 31st September 2012. 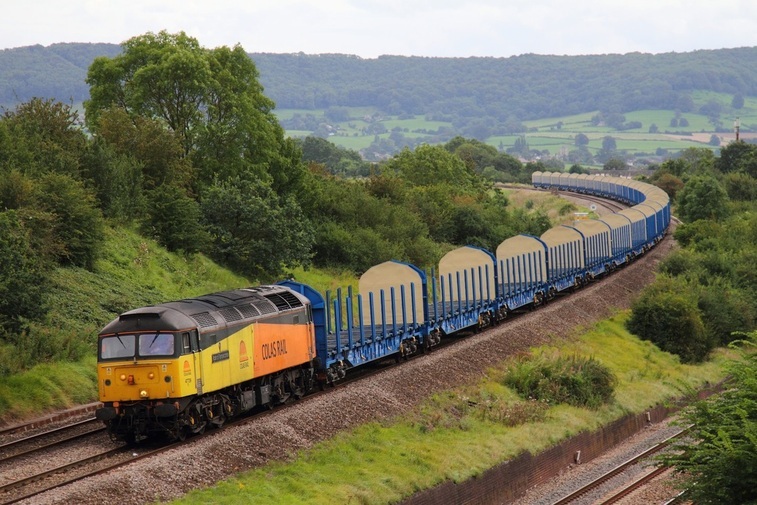 Colas Rail 47739 rounds the bend at Standish junction whilst hauling the 6Z47 Dollands Moor to Gloucester log carriers on the 31st September 2012.